1 small bag of Organic Beef Marrow Bones. 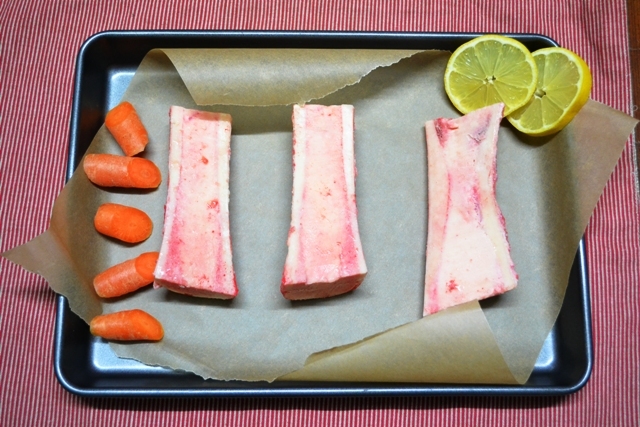 Where possible, all marrow bones will be sliced length ways or cut into small ‘nuggets’ to allow for easy roasting and eating. Limited to 1 pack per customer per order. For more information and our cooking suggestions, see the Cooking Tips tab below. 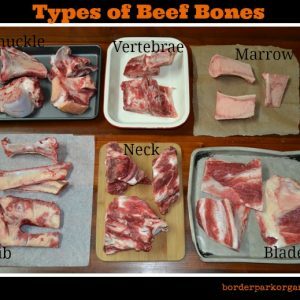 Yellow marrow bones have a very short shelf life of 1 – 2 days from packaging (and go rancid) due to their high fat content. They taste best when they’re cooked and eaten super fresh. For best storage results, store wrapped in baking paper and then in a ham bag (to allow for more circulation and less sweating). Place in the coldest place in your fridge for a maximum of days from receiving your order, or freeze for up to 1-2 months. 1. Line a shallow baking dish with baking paper or foil. 2. Pop your marrow bones (cut side up) in the dish and sprinkle generously with salt and pepper. 3. Roast in a hot oven (230C) for about 15 minutes. 4. It is ready when it starts to bubble around the edges (but remove it from the oven before it drizzles out!). Serving: The resulting oozing goodness can be spread on toast, paired with a green leafy salad (think parsley, lemon juice and capers) or scooped out and eaten straight off the spoon! 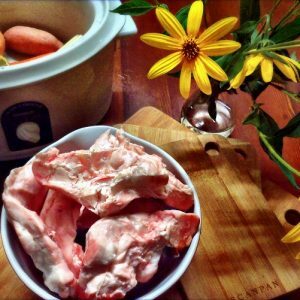 Money Saving Tip: Don’t discard the bones straight away. 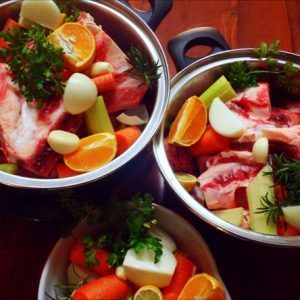 They can be used again to make a lovely pot of bone broth. See here for our recipe.